Ten days ago, the news broke that fifty people were being indicted in a scam to buy admission to colleges such as Yale, Stanford, and the University of Southern California. As commentators hashed over the scam, which involved bribing coaches, cheating on standardized tests, and lying on applications, some journalists began linking the scandal with “snowplow parents” who clear obstacles out of their children’s path to preempt any chance of failure or disappointment. Snowplow parents’ greatest offense, according to these articles, is doing so much for their children that that the kids never learn to solve problems on their own or cope with adversity. The New York Times led the way with an article titled “How Parents are Robbing Their Children of Adulthood,” which argued that “snowplowing (also known as lawn-mowing and bulldozing) has become the most brazen mode of parenting of the privileged children in the everyone-gets-a-trophy generation.” The article features shocking examples of helpless young adults and their over-involved parents who intervene with professors, administrators, and even employers to spare their offspring the slightest unease. The article abounds with extreme examples of this helplessness, such as the college student overwhelmed by sauces on her dorm food because her mother had orchestrated a lifetime of sauce-avoidance to please her picky daughter. It makes a convincing case that snowplow parenting creates weak, feckless, entitled young adults. The conversation about snowplow parenting is an important one, and I’m glad we’re having it. There’s no question that children must be given developmentally appropriate challenges and opportunities to problem-solve on their own. Good parents recognize that there are times to help, times to cheer from a distance, and times to walk away, and, while no parent can choose rightly every time, the effort will ensure that children feel both supported and capable. I also believe that children must be allowed to experience the consequences of their actions, including failure, painful as it may be to witness. If children don’t get a chance to cope with failure–and learn from it–they may be shattered by the failures they will inevitably experience as adults. All of that said, I’m having a complicated reaction to the media coverage of snowplow parenting, especially in regard to its victims. I understand widespread resentment of parents who go to extremes to get their children to the front of the line. But shouldn’t we be more resentful of a system that slathers the front of the line with opportunities and resources while withholding them from the back? Perhaps parents would be less inclined to hire admissions test coaches for their five-year-olds if all American kindergartens offered children as rich a learning environment–and as supportive a community–as the Dalton School offers. In addition, I’m seeing more contempt than sympathy for the children of snowplow parents, especially the celebrity children. In condemning teenagers for going along with the admissions scam, people seem to forget how profoundly these kids’ values–and even their perceptions–have been shaped by their parents. Most of us needed many years to look critically at the way we were raised, so expecting these teenagers to have opposed–or even registered–their parents’ moral failings seems a little unreasonable. It might help to look at a very different snowplow parent, one who was not rich and yet was just as dedicated to removing obstacles from her daughter’s path as Lori Loughlin or Felicity Huffman. Perhaps her case will arouse a bit more compassion for the children–and point to a major problem with snowplowing that some media seem to have forgotten. My example is Wanda Holloway, whom the older among you may remember, if not from the news, then perhaps from one of the made-for-TV movies she inspired. In 1991, Holloway sought to literally remove an obstacle from her daughter’s path: the girl’s rival on an eighth-grade cheerleading squad. Denied a chance to cheer as a teenager, Wanda had long worked to give her daughter Shanna Harper the experience she missed, even though Shanna hated cheerleading. Convinced that another girl was standing between Shanna and success, Wanda hired a hit man to destroy the girl by killing her mother. When the would-be hit man went to the police instead, Wanda was caught, tried, and convicted of soliciting capital murder. The case was an international sensation, pushing aside the Gulf War as a topic of widespread interest and debate. Though publicly silent throughout her ordeal, daughter Shanna later disclosed that the experience had left her with severe depression and anxiety. In a fascinating interview with People magazine, she described the public humiliation of being the daughter of the “Pom Pom Mom,” and the details make painful reading. What’s more interesting, however, is the anguish Shanna experienced before her mother hired the hit man: the decade she spent intensively training for a sport she disliked to please her obsessed mother. In fact, the interview focuses as much on the pressure of having to fulfill a parent’s dream as it does on Shanna’s life after the scandal. It’s an unfortunate truth of snowplow parenting that the route so assiduously plowed is chosen by the parent, often without regard for the child’s interests, abilities, or wishes. Something similar happened to Olivia Jade Giannulli, daughter of actress Lori Loughlin, who was indicted in the college admissions scandal. A daughter of parents who did not go to college, she was pushed into USC, even though she had no interest in higher education and wanted to concentrate on her career as a social media influencer. Think what you will of the relative value of posting YouTube makeup videos versus earning a college degree; it’s still true that Olivia Jade’s parents went to extreme lengths to satisfy their own ambitions, ignoring and then destroying hers in the process. She has lost her corporate sponsorships and become as notorious as Shanna Holloway was back in her day, just because she’s the “beneficiary” of her parents’ scams. And, as the child of snowplow parents, she is likely less psychologically equipped to deal with the challenges she now faces than are better-raised 19-year-olds. So I think she deserves a little compassion. Whatever she knew or did not know about the legitimacy of her application to USC, she was not emotionally equipped to resist her parents’ ambitions for her. Affluent teenagers have some of the highest levels of depression, anxiety, substance abuse, and unhappiness in their age cohort. While I’m the first to acknowledge the terrible psychological burden of poverty, its opposite does not guarantee a trauma-free childhood. Adults raised by snowplow parents, especially those parents who fail to distinguish between their own desires and their children’s, have boundary issues, dependency issues, and reality issues. They’re not just unprepared for the challenges of adulthood; they may also be near-strangers to themselves, unable to perceive who they are apart from their parents or what they really want. 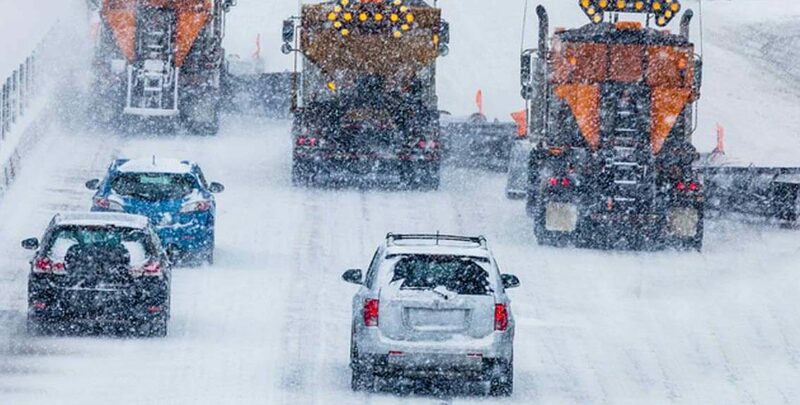 As anyone knows who has ever driven behind a snowplow, while the road right in front of you may be clear, the going is slow, and you can’t see much beside taillights. Young adults raised in this way deserve our sympathy, not our censure, along with the help they need to chart their own courses forward. The Times was not the first to raise the alarm about snowplow parenting; the Washington Post and Boston Globe (among others) started covering the trend in 2013. Looks like the Times did kick off this latest round, however. The Times acknowledges the resource inequality that drives (some) snowplowing but links it to changes in recent decades. I would argue that the problem is much more long-term and systemic, though it has certainly grown much worse since the 1980s. Previous Previous post: Claudia Black reviews Iron Legacy!